Ah. 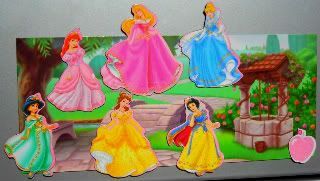 The last of this particular Disney Princesses magnet set. I wanted something happy for today. And you can't get any happier than a happy Disney Princess. So, yay for happy Jasmine from Aladdin. Right about now, I could use a happy, if somewhat annoying, magic genie in a bottle. And not the Christina Aguilera kind. Hell, I'd probably take the monkey, too. Anyway, to recap: Nothing happier than the circle of Disney Princesses below. And if I use the word happy enough times, maybe I'll kick this bad, ticked-off and rather disgusted mood in the shins. Huh. How'd that pink glittery apple get there. Wasn't Snow's apple red? What? That's right. Next, I'll be spitting over my left shoulder, and walking in a counterclockwise circle three times backward. do you want gordon and me to sing a whole new world for you? 'cause we can. we can totally do that. it always makes jen laugh. I'm seeing a whole missed opportunity for this post. 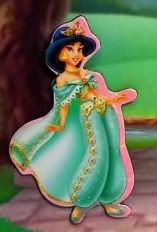 I probably have a couple of Jasmine magnets running round.